We’re already hard at work, developing an exciting bag of new tricks for the next release of Yellowfin’s Business Intelligence (BI) software – Yellowfin 6.3. 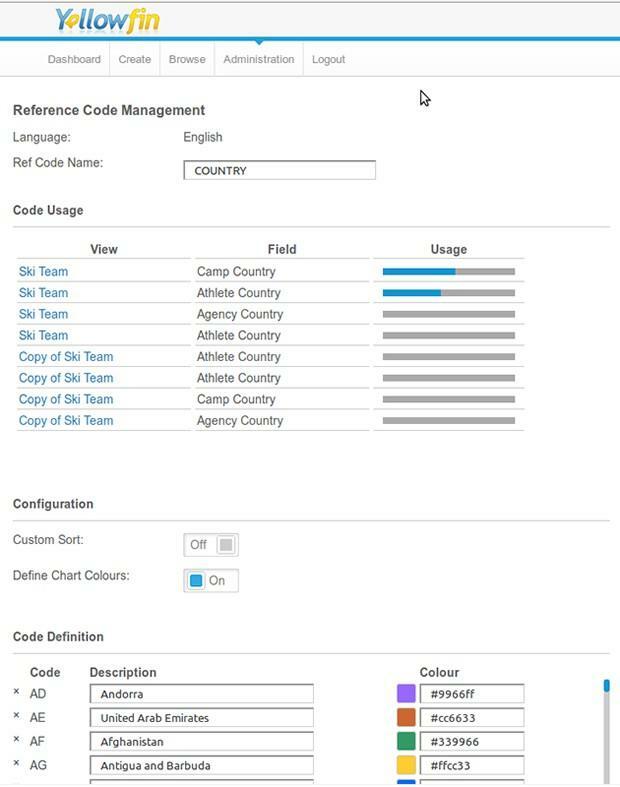 Among many other things, we’ve been working to upgrade the Ref Code Management Page. I wasn’t a Yellowfinian when the old page was around, but reports indicate that it was a little disjointed, clunky and confusing. Personally, I’ve been tasked with improving the all-important user experience. The goal is simple: To make Ref Codes easier and more intuitive to manage. So, along with the existing crowd-pleasing functions, in Multi Language and Custom Sort Orders, we’ve added a cool new feature – Custom chart colours. 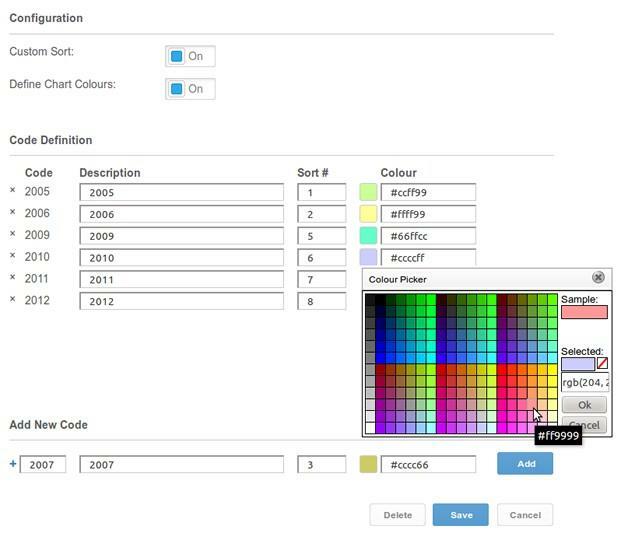 Yep that’s right; you’ll now be able to have all your charts with a given Ref Code display in your preferred colour, automatically. Naturally, all these functions are optional, and can be turned on and off as desired. And finally, since Yellowfin’s all about making BI as easy and accessible for people of all business backgrounds, we’ve added some usage statistics to help you visualize and manage your Ref Codes. These usage statistics show the Source View(s) where a Ref Code is being used; the field name the Ref Code maps to; along with the number of active reports that currently use the Ref Code in question.